I had the opportunity to try a Skinn Product this week. I received 2 samples one to keep and one to giveaway. Decisions, decisions, I really had to think hard on which one I would like to try and which one I’ll sacrifice for a wonderful Networking Witches reader. First a little about Skinn. Skinn’s motto is “Refuse to settle for anything less than perfection”. Skinn was launched in 2002 by Dimitri James. Skinn offers products only through televised home shopping, the internet and exclusive, privately owned spas through out North America. This has allowed Skinn to reach the maximum amount of people, while keeping overhead low. The first product I received was Skinn Orchid Gel Mattefying Treatment. Skinn’s Orchid Gel Mattefying Day Treatment Seal will not only keep moisture and treatments in your skin all day, it also keeps dryness, pollution and sun damage out! This one-of-a-kind, exclusive formulation is the perfect no-shine, under-makeup base that reduces the visibility of pores and imperfections. Orchid Gel will help keep your skin looking matte, fresh and bright all day long, like the exquisite flower that you are. The second product is Skinn Bright Eyes – Eye Enhancing Treatment. This super hydrating eye brightener utilizes the latest technology in color pigments to virtually erase the look of fatigue and dark circles around the eye area without the weight and feel of heavy concealers. The light texture appears completely natural while covering dark circles and imperfections while hydrating the skin for a smooth, un-lined look. Special incandescent pigments give eyes a bigger and brighter look, even on the dullest of days. Buy it and enjoy free shipping on orders over $50. One very lucky Networking Witches reader is going to win Skinn Bright Eyes – Eye Enhancing Treatment. Go on over to Skinn – Dimitri James and look around tell me another item you would love to have that I haven’t mentioned. I love winter and love sitting in my pajamas, curled up with good book, and coffee. SleepyHeads Daisy White Lounger Pajamas to review and I’m in love! These are 100% knit cotton and boy are they comfortable and this design pattern is beautiful. 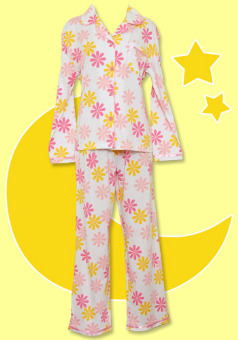 SleepyHeads Pajamas aren’t you’re every day pajamas either they are made well and comfortable. Looking for Pajamas for your kids? What a great selection in the SleepyHeads Pajama line. They have patterns to match the adults selection, tee shirt/short sets, dress/gown, and pants with long sleeved tops to match. I’m shopping for my husband rght now and he’s picky about what he wears to bed. I had to laugh just a bit when I saw the footed men’s pjs. They look nice for the hunting camp. I love the flannel Lounge Plaid and Short Sleeve Flannel Lounger set. Right now SleepyHeads is having a great sale. Their exclusive SleepyHeads Line is 20% off. Available in many sizes and free ground shipping. 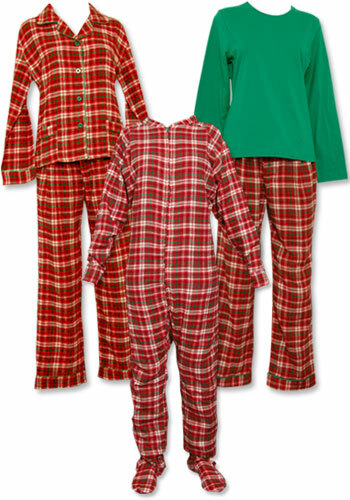 SleepyHeads is generously giving one Networking Witches Reader a pair of pajamas from their SleepyHeads Line. Go to SleepyHeads and look at the SleepyHeads line. Tell me which pair of SleepyHeads pajamas you would pick if you won. Every now and then a new product comes along and you think “Yeah! I need that and I can’t believe someone thought to make it.” This is how I feel bout the Brella Bag. The Brella Bag holds your umbrella while leaving your hands free to do other important tasks (in my case grabbing my sons hand in a parking lot). 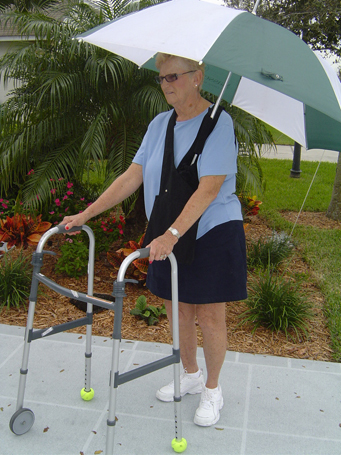 The Brella Bag can be used while operating any mobility device such as a walker, wheel chair, power chair etc. 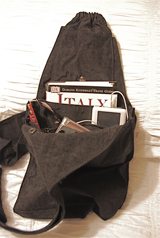 The Brella Bag is lightweight and comfortable with adjustable straps and guaranteed durability. It has an additional zipper pouch for small items (think MP3). 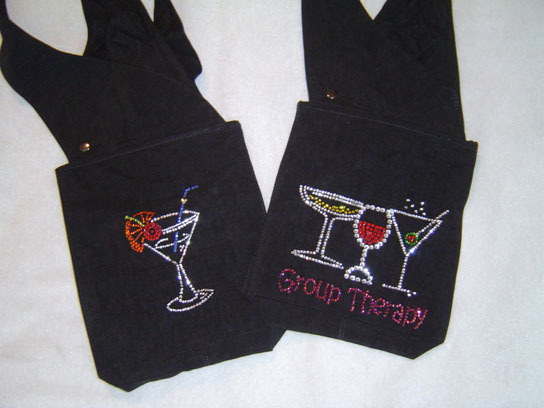 Brella Bags can be personalized with your company name or favorite designs. 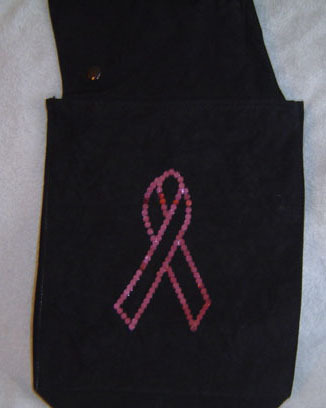 Show your team spirit and have your teams logo embroidered on your Brella Bag. 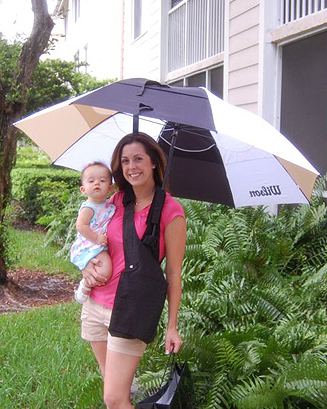 Brella Bag comes in one size but has adjustable straps. A golf umbrella works best with the Brella Bag but there is a snap to give the option of using another umbrella with a shorter shaft. I really like the Brella Bag and find it useful for keeping the wet snow off of me and the items I’m carrying. I really like the zipper pouch so that taking a walk under the Brella Bag keeps my mp3 safe. It took a little getting used to because it is a little different but it does work and works great. Purchase 2 or more bags and save 20% by entering “Special” in the coupon section of the order form. Brella Bag is giving one Networking Witches reader their own Brella Bag. Go to Brella Bag and tell me which umbrella would go best with your Brella Bag. I’m not hard to surprise, I love gifts of all kinds. Each one is a surprise to me. But if I have to choose just one, I could narrow it down to two. That’s close, right? We had a desk with a hutch, and any time someone would bump or lean against the desk/hutch, the hutch would come crashing down on our (then) new flat panel monitor. Every time someone come through the door, we would simply cringe, we just knew it would happen whether we issued warnings or not. Come Christmas time, my husband got me a fully assembled desk, complete with a stable hutch. He hid it for a month and a half in the garage. How I never seen it, I have no idea, because I had ventured out there many times! The second would be when my husband got me my very first sewing machine! A singer, and that puppy held up dandy. It’s still holding up, even being out of time. I was devastated when the timing went screwy. Do you have any idea how hard it is to find someone to repair a sewing machine? Jeepers. This year, I’m attempting to hold out for a good ole’ Target visit. Being an hour and a half one way to drive, it’s a treat! So, tell me. What is or was one of your most surprising gifts? I am in love with Designs by Janessa for a few reasons. Her artwork is really beautiful and so new and refreshing to me. With Janessa’s items you make a mold of a finger or toe print and she turns it into metal. You can have your print turned into many different pendants or charms. Not to mention there are lots of ways to wear these. She carries Key Chains, Cuff Links, and Necklaces. Look at the comments on Janessa’s comment page and they are raving reviews and I have to agree! Janesa is a Stay At Home Mom but was a high school science teacher in her previous life. I’m in awe of her creativity and the speed that she works. This beautiful Heart with Name and Thumb Print would make a treasured gift for years to come! You can jump right into your own Littlest Pet Shop World, full of cute, quirky pets that magically come to life in an exciting digital world. Collect some of the newest and cutest pets, and explore the four seperate enviroments where you can take care of, and play with your pets in lots of fun mini-games. The more time you spend having fun with your pet, the more goodies you earn for your pet shop, including new pets, play sets, accessories, and so much more! Play Littlest Pet Shop in a whole new way! Hey kids, if you’re reading this, get your parents permission and check out the Littlest Pet Shop Website, there’s a great link to put your very own Wish List up so you can show your parents how great it all is. You can meet the Littlest Pet Shop Pets, watch the videos, and check out the awesome screen shots from the games. Lots of fun stuff to be seen. Available on Nintendo Wii, and Nintendo DS games, rated E for Everyone! (that means it’s family friendly!) Published by Electronic Arts Inc. Being a Mom, I don’t always like for kids to shove their heads into a video game, to simply “veg out”. It’s not all bad allowing your kids having a game system. If you don’t know much about the Nintendo DS, I’d like to take a minute and tell you about it. Nintendo has been around for a good long time, I am in fact a game Mario Brothers addict lover. My kids introduced me to Game Boy Advance. Then to the Nintendo DS which is backwards compatible with games, meaning that we as parents can “recycle” in a sense, previous games. My daughter and I both have a Nintendo DS game system, and we use them to “chat” with one another from room to room. We love playing games together on it, and beating each others high scores. The weather outside can sometimes be outright frightful, and having a DS around is fun, and entertaining when kids can’t run out to play. I take care of my elderly Mother and even she has a Game Boy Advance of her own! My daughter and I keep our Nintendo DS on charge for when she has to see the Dr., or when we take my Mom to the Dr. It really helps to pass the time. I have also mentioned before that my family lives in a rural area, which is wonderful … however it also leaves for longer drives for shopping, and other errands. Again, the Nintendo DS goes many places with us, and it’s enjoyed by all of us of varying ages! If you don’t have one, or if your kids don’t have one give it a look over, it may come in handier than you think. Not all games are geared for kids, there are many games that are for cooking, puzzles, the list goes on and on! I was sent a Littlest Pet Shop DS game for review, I was not paid any monetary compensation for this review. This post is my opinion and should be taken as just that. Having received samples has no impact on my personal use, experience, or like for any product. I must be in a mood. I have been sitting here saying “Lushhhhh, Lusssssshhhhhhh …”, I must have been making faces as well, my daughter wanted to know what was wrong with my eyes. Sure, try explaining that one. I went with the grin and nod to avoid risk of looking like a wacko. Lush is wonderful! I had never heard of it until just recently. And ohhh la la do I like it! The folks at LUSH are a step aside from what we most often hear. And when you take a look at their products, and packaging I’m sure you’ll stand to agree with me. Each item is packaged when mailed, and it’s not heavy wrapping. It’s thing paper wrapping (on the bar of soap of course.) They have beliefs of making effective products, using fresh, organic* fruit and vegetables, fine essential oils, and safe synthetics. They invent their own products, and concoct their own fragrances. Vegetarian ingredients. Each product comes with a nifty sticker that has a picture of who made, with the date of when it was made, along side a “best if used by” date! You can read more on the LUSH About Us page, they have strong, firm beliefs, and are not afraid of trying to make the world smell great with perfume! One of my favorite things, Cocoa Butter Cocoa Butter reacts to the temperature of the body and melts over the skin, making it supple and smooth. It’s also one of my favorite items any time of the year. In the summer we use it around our house for sunburns, and dried out skin from swimming, and being in the sun so much. In the winter it’s again, amazing for us since we have wood heat, which leaves your skin very dry! Washday Greens – This shampoo lives up to it’s name. I was surprised when I put the shampoo in my head. It’s very green. Don’t be alarmed. The fragrance of spearmint, and peppermint were wonderful, and so refreshing. Chlorophyll (the stuff that makes plants green), helps to balance out oils, while bay leaf tones the scalp. I loved that it really did balance out my oily hair! It was a lift that was well needed. I could stay in the shower to smell the refreshing mints for hours! After my hair was dry, I could still smell the mint, and it felt as if I had washed away built up ick using this shampoo. SnowCake Soap – It has a wonderful smell of almond cake icing, while your washing with it, it really throws out the scent. Mmmm so good. All of my little dogs were waiting outside the bathroom door for me, I suspect they thought I had goodies hiding in there with me. 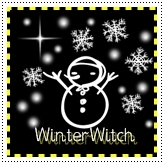 SnowCake soap feels so soft and smooth against your skin. One thing I wish it had more of is lather. I like lots of lather. I would use SnowCake Soap again, just because of how well it felt on my skin, and how I didn’t feel greasy, or oily after I was out of the shower and dried off. I would also like to try Father Frost Soap – Looks like midnight and smells like a garden. If you’ve been good all year round, you may just be rewarded with a large piece of this Christmas soap made with apple juice and cranberries …. You can even use this for a center-piece for Christmas, and after the festivities, cut it up and share it with your friends! LUSH has a wide variety of products, to sweeten every name on your Christmas gift list, or to fill stockings to the brim. Including, but certainly not limited to gifts under $25. Take a peek, aren’t these precious?And remember, this one is less than $25! Check the original posts for the winners! Winners are being emailed for confirmation. Are generations of your percious family memories sitting in boxes? ScanDigital can help. They can move photos to cd’s, using their photo scanning services! You can send your photos, albums, slides, negatives, and home movies to ScanDigital.com. They can scan and digitize them so you can preserve, share and enjoy them forever! Convert your photos or old VHS to CD or DVD, with online photo galleries. ScanDigital’s state of the art photo scanning process is easy to use. Select whichever photos you would like to have digitized. Our service can handle black & white photos, color photos, Polaroids – as long as the photo can be laid flat and is not larger than 8.5 x 14 inches. Once you’ve chosen the pictures you wish to convert digitally, simply package your photos and ship them to us. ScanDigital’s imaging process is unrivaled in the digital processing industry. We scan each negative using the highest quality professional scanner, and every negative is digitally optimized using ScanDigital’s Proprietary process. Our world-class technicians color correct, crop, and re-orientate each negative, ensuring that red eye, scratches and dust are removed. ScanDigital’s digital slide scanning process is a must for anyone with a valuable slide collection. The digital conversion of slides eliminates the storage problems associated with the housing of your slides, magazines, protective display pages, carousels and slide projector. ScanDigital uses propreihetary equipment and the most secure process possible when doing video transfers. Thousands of dollars have gone into developing a process that returns the highest quality possible, in a reasonable turnaround time for a fair price. ScanDigital Also provides photo scanning services deo transfer, slide scanning, and negative scanning services.